The Interim Government in Libya’s east is working hard to distribute food supplies for needy families across the country ahead of Ramadan as food prices hike and armed conflicts have put many in a dire need of aid. 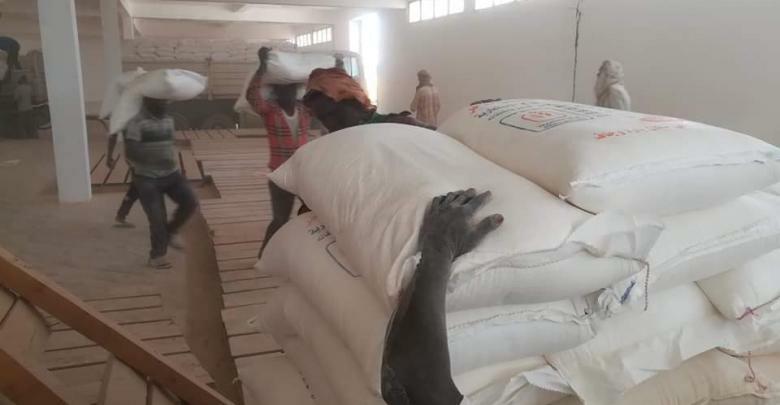 The start was in Waddan town in Jufra region as the Prices Balance Fund and other relevant bodies distributed free food supplies, such as flour, cooking oil, rice, and sugar, on Sunday. It is expected that the government will distribute more ration goods to the remaining areas of Jufra in the coming days. Early May will mark the beginning of the holy month of Ramadan in which Muslims fast from sun-up to sun-down. Also, some humanitarian organizations and charities began initiatives to support and aid citizens throughout many of Libya’s provinces. Libya, the North African country which was at one point considered one of the wealthiest countries in Africa, has been facing economic debilitating issues since the toppling of Muammar Qaddafi in 2011. We are the English-language website of the Libyan privately-owned Channel 218TV. Launched in October 2018, 218TV English provides in-depth stories, opinion articles and insights into the Libyan society.